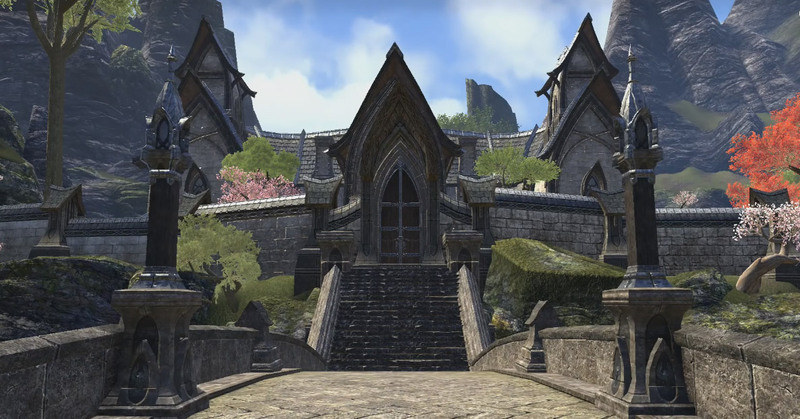 Housing is a new feature to be added to Elder Scrolls Online in early 2017. It’s a part of Update 13 that will bring in an ability to buy own apartment in the game and decorate it as you wish. This guide will tell you all the information about Homestead update. There are 3 different types of houses available: small, medium and large. The main difference between them is price and of course space. The higher the cost is the more space you receive. Small are good if you don’t like to gather with friends or if you don’t have enough money. But if you want to invite friends you’d better purchase the largest option. Player can select from 40 diffetent homes and over 2000 items for decoration. Such variety allows to create your own unique place! All the property you buy connects to your account and can be used by all the characters you have. You don’t need to purchase new apartment for every new character. As for the price of the update: this cool system will be available in the 13th update for free. Player doesn't need to purchase the update. All the content is available to all players without exception. There are no racilal restrictions! (Except for the Imperial homes) Any player can buy any house regardless the race and the alliance he belongs to. If you want to buy Imperial-style homes you must own Imperial Edition of the game. You can always upgrade ESO to the Imperial Edition from standard by purchasing digital upgrade in the Crown Store for 2,100 crowns. Imperial Edition owners can buy Imperial-styled houses with any character regardless race. After you complete the tutorial almost all the homes become available for purchasing. All unfurnished property that can be bought for in-game gold is also sold in Crown Store and can be purchased there for Crowns. Fully furnished versions of every house is sold in Crown Store only. This option includes cool decorations created by the most talented crafters of Tamriel. After you purchase it you can move or remove all the decorations creating your own unique atmosphere. Some of property types are available in Crown Store only! Purchasing a home for in-game gold will require player to prove worthy to local residents. You will have to earn some achievements in order to be able to buy what you want. Many players ask if it is possible to own multiple homes. The answer is yes. You can buy as many places for living as you wish. There are no limits. You just need to have enough gold for making all the purchases. If your goal is to buy all the property - that's great, you can do it. Your first place for living can be obtained for free. This is the basic variant of a small room in local inn and you can get it by completing a special quest. Details will be added later. All the property player owns is instanced meaning nobody can enter it without permission. You can invite your friends to visit your home but nobody can enter it without your invite. That means you can decorate it with different valuable stuff without worries. any other player if you add him as Visitor or Decorator in house settings. You may allow trusted friends to decorate your home. If you add them as Decorators they receive permission to move existing items but they can’t add or take anything. Your home is always available to the players who have permission to visit it. They can enter it anytime, even if you are offline. Crafting furniture is not just for decoration purposes. It’s also possible to sell it to other players using guild stores. Furniture can be crafted and sold like any other craftable item. But crafting is not the only way of getting decorations. You can buy the items from local traders and in Crown Store. An experienced player may decorate his house with special Achievement rewards. These rewards symbolize his progress and can be purchase from special trader after receiving an achievement. 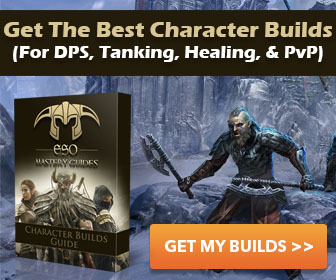 Thus you can demonstrate your progress in the most difficult trials and challenges in ESO. It’s possible to lace different useful stuff inside your home. You may place different crafting stations and even dummy skeletons for testing your builds. Mages Guild members can place copies of Shalidor's Library books on the bookshelves. These books can be read. They can be purchased from Mages Guild merchants after you've found and completed a set. All houses are built according to racial styles. For example a building in Auridon (Aldmeri Dominion) is built according to Elven traditions. Each territory will have different architecture style. But player can purchase any apartment he wants. Want to live in The Rift – no problem. Some players think that there will also be building system but that’s wrong. It is impossible to build something. All the houses are sold “as is” and can’t be rebuilt.